Dr. David Olayemi has about 35 years’ experience working in Nigeria as Health Practitioner and has spent the better part of the past 15 years advocating for the strengthening of the Nigerian Health System. He holds MB,BS of Ahmadu Bello University, Zaria; MPH of University of Ilorin, Certificate in Effective Leadership of Mendoza College, Notre Dame University, USA and is a Fellow of the Association of General Practice (Nigeria). 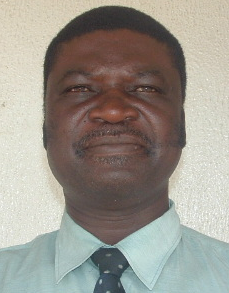 An FLD grantee of MacArthur Foundation (2005-8), he has held leadership positions of various professional bodies including Resident Doctors Association, Association of General and Private Practitioners’ Association of Nigerian, Association of Public Health Physicians of Nigeria and Nigeria Medical Association. He was a member of the Management Board of University of Ilorin Teaching Hospital between 2005 and 2007. David has worked as consultant for various organizations and programmes including the British Council, Kwara State Government of Nigeria, Health Reform Foundation of Nigeria, Nigeria’s National Programme on Immunization, Partnership for Reviving Routine Immunization in Northern Nigeria and Women for Health among others. He has been part of a number of study tours including Cambodia, Malaysia, Ethiopia and Tanzania. David Olayemi joined Save the Children as Senior Manager coordinating Advocacy since February, 2010 and has brought a lot of dynamism and innovations to the Advocacy efforts in Save the Children, Nigeria. David is passionate about scaling up Nutrition in Nigeria. Mr. Olayinka Lawal, a lawyer and Deputy Director of Prisoners’ Rehabilitation and Welfare Action (PRAWA), graduated from the University of Maiduguri, Borno State Nigeria, the Nigerian Law School, Lagos Nigeria and University of York, York, United Kingdom. He’s also a graduate of International Leadership Academy, Gummersbach, Germany and Kofi Anan Peace Keeping Training Center, Accra Ghana. PRAWA is a non-governmental organization aimed at promoting security, justice and development in Africa. It was established in 1994 and in 1998 it secured observer status with the African Commission on Human and Peoples’ Rights. PRAWA’s key programme activities include advocacy and promotion of right to adequate nutrition for every prisoner in accordance with Rule 22 of the United Nations Minimum Standard Rules for the Treatment of Prisoners, 2015 (The Mandela Rules). Prior to joining PRAWA, Mr. Lawal has worked with the Constitutional Rights Project (CRP) as the Executive Director, American Bar Association (ABA) as a Senior Attorney, National Democratic Institute for International Affairs (NDI) as a Legislative Expert Consultant, UNICEF as a lead Consultant on Child Protection, PACT Nigeria as a Program Coordinator on Anti-Corruption and also with the International Republican Institute (IRI) as a Program Manager/Deputy Country Director. At CRP, Mr. Lawal convened and facilitated national and regional conferences that produced roadmaps to improving human rights enforcement at the two levels, which civil society actors and state institutions agreed to run with to improve human right situation in Nigeria and at the West African sub-region. This led to the establishment of one of the first sets of multi-stakeholder human rights desks in Nigeria’s Divisional Police Stations (6) across the six geo-political zones in 2005. At the ABA, he facilitated the development of a draft National Policy and a draft Legislation on Witness Protection for consideration and approval by Nigeria’s National Executive Council. At PRAWA, he has successfully provided guidance to key stakeholders in the criminal justice system to review lapses in criminal justice administration, identified the gaps and developed coordinated solutions to them. The stakeholders are: judges, lawyers, investigators, prosecutors, prison officials and non-state actors. At the global scene, Mr. Lawal was a Member of National Democratic Institute for International Affairs/Carter Center’s Pre-Election Mission to Liberia led by President Jimmy Carter, former President of the United States of America – September 1-10 2005. Likewise he was on the team of National Democratic Institute for International Affairs’ International Election Observer Mission to Zanzibar and Tanzania led by Senator Anyim Pius Anyim, former Senate President, Nigeria – October 24-November 3rd 2005. Again, he was on ABA-Africa Experts’ Group that undertook an assessment mission to Ethiopia with a view to explore opportunities for programming and collaborations with civil society groups and government institutions – April 8-15 2007. He has led several advocacy missions, and facilitated sessions at numerous workshop and conferences at both national and international levels. Over the years, he led several advocacy missions to Nigeria’s National Assembly and State Houses of Assembly including Bauchi, Bayelsa, Edo, Kano, and Lagos States on issues ranging from criminal justice reform and human rights to fiscal responsibility and public procurement. In 2015, at the American Correctional Associations’ 145th Congress of Corrections held in Indianapolis, Indiana, USA, he made a seminar presentation on the topic: “Administration of Criminal Justice Act 2015: Fostering a Philosophical Change in Nigeria’s Correctional System”. The event was held from 14th -19th August, 2015. Mr. Lawal has authored and co-authored several books, training manuals and articles. The books and manuals include the following: Guide to Human Rights Litigation in Nigeria, 2006; Legislative Agenda for Legal Reforms and Human Rights, 2002; Suppressed Rights – Constitutional Rights Violations in Military Decrees 1999-1984, 1999; Quick Reference Brochure on Gender Based Violence, 2006; Anti Human Trafficking Training Manual for Law Enforcement Agencies in Nigeria, 2008. Mr. Lawal is happily married and blessed with three children. Ibecheole, Julius Uchechukwu holds a Master’s degree from the Federal University of Technology Minna, Nigeria and several professional certification. An architect with over twenty three years career experience as a development worker/consultant with key focus on Public Health. A seasoned trainer and facilitator and have experience in handling issues on economically and/or ethnically diverse environment, fiscal management expertise; a human right advocate and social researcher. As a consultant he provides technical assistance on several developmental projects, ranging from the Environment, Construction, Health, Education, Community development, Entrepreneurship, Leadership and Governance. He has over the years being an active sector player in both national and international development/CSO Network Organisations such as Nigerian Environmental Society (NES), Nigerian Institute of Architects (NIA), International Alliance of Inhabitants (IAH), with cooperate membership to several Civil Society Networks such as Civil Society on Malaria, Immunization and Nutrition (ACOMIN), Civil Society on HIV/AIDS (CiSHAN), and Association of OVC NGOs in Nigeria (AONN), Civil Society Network on Hepatitis, Nigeria (CiSNH,N), World Hepatitis Alliance (WHA) and the Civil Society Scaling Up Nutrition in Nigeria (CS-SUNN). He is multi-skilled with an in-depth understanding of working in communities and rural areas in developing countries; linking policy analysis and emerging issues to plans; understanding of pro-poor and gender issues in development, policy formulation and analyses, organizational development, strategic and operational planning, especially with government institutions at community, local, state and national levels and Non-governmental organisations. And has recorded several participations in both national and international professional training workshops and conferences with paper presentation on several issues in the development sector. In-addition, he has ability to establish a vision and lead others responsibly and have the willingness to deal directly and fairly with issues, society and man. He is accountable and holds everyone accountable for his/her respective area(s) of responsibilities/actions and he is compliable to instructional and administrative applications/directives. He believes in data-based decision making that focuses on meeting the need of human society at any given time. A collaborative and responsive team player with effective communication skills in English language. Ibecheole, Julius U. is the Executive Secretary and visionary of Elohim Foundation, a registered non for profit development organisation founded on the 13th September, 2001 in Abuja –Nigeria formerly known as The Carpenter’s Foundation International; with its headquarters in Abuja having four State Project offices in Niger, Imo, Abia and Calaber states respectively. Elohim Foundation is a system based serve provider organisation/advocacy group, with a history of best Practices rooted through its dynamic operational policies and regulations, providing Evidenced based services to a wide range of clients across Nigeria. Aji Rachael Robinson earned a B.Sc. Accounting from University of Jos, Plateau State -in 1997. Trained in Project Management in the Prestigious Lagos Business School. Aji is a self-disciplined respected and motivated professional, leader Mother and wife with more than 20 years of multi-disciplinary work experience. With an extensive capacity of managing multi-donor funded project and building strong Networks and coalition; she is a highly skilled communicator and advocate for change in developing social issues.Aji has also developed and executed marketing and sales strategies for businesses across a variety of industries in Nigeria which improved output from 25% to 95%, from three perspectives: branch manager at a specialized office equipment dealer- Osiquip Nigeria Limited from 2005-2006, as a sales executive at an ICT and power organization- Dataflex Nigeria Limited from 2001-2005; as head of sales team (Pathfinder team) of Sea Petroleum & Gas Group (SPG) of companies, as an Accountant II, in INTRALOG- Subsidiary of SPG (1998-2001).Aji Robinson founded a Non-Governmental organization called Heal The Youth Foundation (HTYF) in 2003, and is the Executive Director who also doubles as the Secretary on the Board of Trustees. HTYF believes in partnership and collaboration, this is evidence of her active participation in coalition and network matters, this participation has resulted to her emerging the current Coordinator of FCT-Chapter of Civil Society Scaling Up Nutrition in Nigeria (CS-SUNN) and interim Coordinator Association of Orphans & Vulnerable Children (AONN). She is also the Executive Treasurer and the M& E focal person for FACA of Civil Society for HIV AIDS Nigeria, FCT chapter, a member of TWC of Coalition at Planned Parenthood& Family in Nigeria and sits also on the of the FCT Reproductive Health Technical working group of the Primary Health Care Board.Aji has been trained in diverse professional training in her career, some include capacity building on HIV/AIDS Prevention &M&E by ENCAP; Budget Analysis& Advocacy Training (BAAT) by Actionaid-SNR/CBPA, Communicating Nutrition information and Data to policymakers by population Reference Bureau, USA; Short leadership Course for African Agricultural Transformation Champions for Change by Africa Lead/USAID; Advocacy Skills and Strategies by CS-SUNN/PACFAH; Resource Mobilization and Project Management by NACTAL/PLAN international; Evidence-right based approach to Child right Advocate, Investment Case for Children by 4Children and several other trainings.She is a sound resource person and an Organizational Developmental (OD) expert; A trainer with great presentation skills. She was a resource person for Social Development child FCTA, during the African child day 2009 with a paper titled “African child fit for growth &development”; and on the” A day of the orphan and vulnerable children -Sept 2010 paper titled “Family and a hope for every orphan” with a sub theme “strengthening Coordinated Action for the Orphan and Vulnerable Children in NigeriaAji has a highly keen interest in leading and motivating people to achieve their best through the development of potentials and skills while ensuring they impact their world.Aji is currently developing a new interest in Agriculture, green environment and recycling.Aji is a Christian, married, a mother of four beautiful children 2 boys/2 girls, loves to travel, listen to gospel music, reading the Bible, Christian literatures, Positive motivated books and researching. Ngozika Ogbonna was born and bred in Nigeria. She has a Bachelor of Science (BSc.) Degree in Sociology and Anthropology obtained from Nnamdi Azikiwe University Awka, Anambra State and also a Master’s Degree in Public Health obtained from the University of Ibadan, Nigeria.She has been contributing to the improvement of maternal and child health in Nigeria for the past 10 years and has been actively involved in leading advocacy and implementation of development programmes in the areas of nutrition, immunization, pneumonia and diarrhea, family planning, HIV/AIDS prevention , treatment, care and support among others. She has worked with diverse National and International stakeholders, Donors and Implementing Partners on various projects within communities in 27 states in Nigeria and has also served in various capacities in other coalitions such as the Civil Society for HIV/AIDS in Nigeria, Association of OVC NGOs in Nigeria, National Council of Child Rights Advocates, ACOMIN among others. Before becoming a member of the CS-SUNN Steering Committee, she served the FCT Chapter of the Coalition as an Assistant Secretary and also as the Leader of the FCT CS-SUNN Advocacy Team.She is currently the Programme Director of Greater Life Initiative, a Non-Profit Organization registered in Nigeria in 2010 and working to promote reproductive health, particularly, maternal and child health in Nigeria.As a member of the CS-SUNN Steering Committee, her vision is to see a situation where nutrition is made a key priority by the Nigerian Government which will result in decreased dependence on foreign aid for nutrition related programmes in the country, increased funding of nutrition activities by the Nigerian Government, the Private Sector and other relevant stakeholders, and ultimately, improved health and wellbeing of all vulnerable groups in Nigeria, especially women and children.She enjoys Traveling, Photography, Singing/listening to music and Cooking. 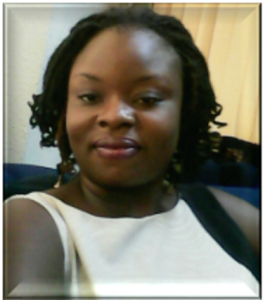 Funmi Akinyele, PhD is an excellent leader, who is frequently called upon to solve complex problems. She leads mainly by example, always doing her best, while encouraging others to do the same. 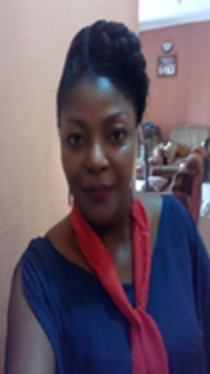 Currently, as the Chief Executive Officer/Executive Director of Food Basket Foundation International (FBFI), the first indigenous nutrition- and food security focused non-governmental organization headquartered in Ibadan, Nigeria, Funmi oversees the administration, programs, and strategic plans of the organization. She successfully took over the reins after the founder’s sudden demise in 2014. During her tenure, Funmi has the led the organization in conducting several nutrition-sensitive interventions, community outreaches, advocacy and policy influence, and research. 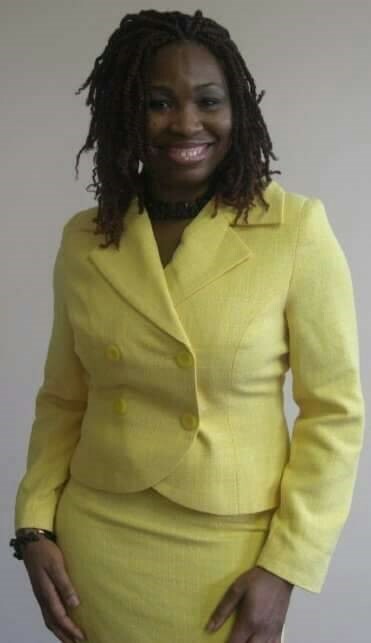 Funmi’s background includes 8 years of experience in the telecommunications industry, 20+ years of experience in various leadership, teaching, research and coaching positions, managing people and projects, and 3+ years of experience in nutrition and the development sphere. Prior to taking the leadership reigns at FBFI, Funmi held leadership positions in training, teaching, research, counselling, coaching, telecommunications and meeting and event planning. She holds a PhD and an MA from Regent University, an MS from Johns Hopkins University and a BS from Morgan State University.